I know that some people are in the midst of what seems like an endless Winter right now. I live on the West Coast, so I’m not going to talk about my weather, lest you be jealous. However, let’s note that for most of the year, most people aren’t jealous of the weather here. We live in a rainforest. The less-tropical, more-damp-all-the-time-we-own-8-umbrellas type of rainforest. So I’m going to enjoy this while I can. And this not-quite-Spring-time limbo-land isn’t going to stop me from talking about flower pots. 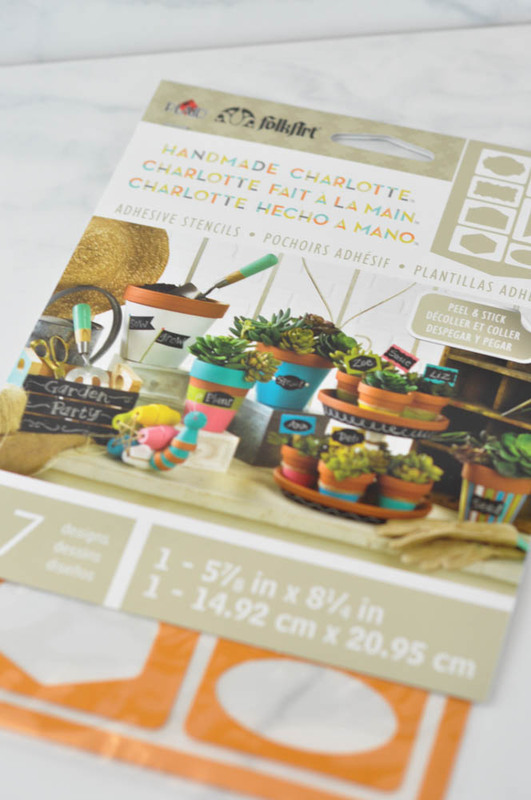 Because before you know it, it’s going to be time to plant stuff. And keep it alive. I am very good at one part of this equation. And also, I like to decorate the pots. 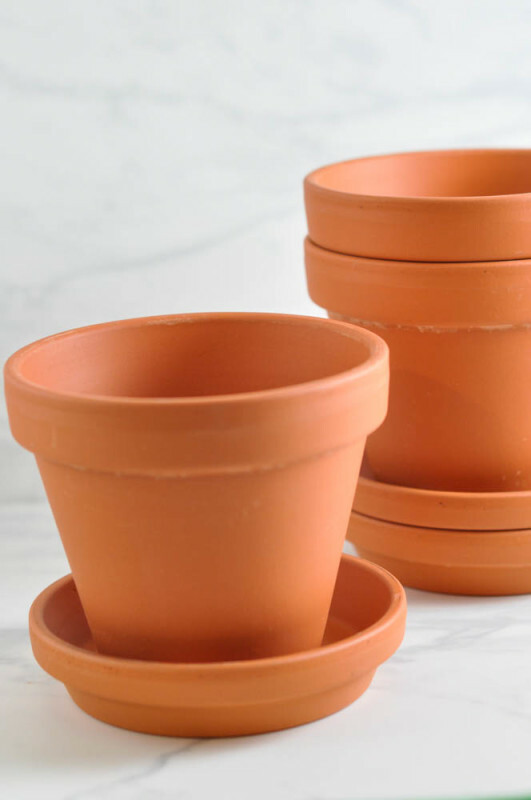 As part of the Hometalk and Michaels’ Pinterest Party this upcoming Sunday (check here to see if a Hometalk blogger will be at a town near you), I’m going to be sharing my swing on the terracotta pot. These pots are cheap. Cheap-cheap-CHEAP! That’s part of the reason why they’re so fun to craft with. If you screw up, oh well, paint over it. Let your kid paint one. Paint one for Grandma too. Why not?!? She loves your stuff. It’s the law or something. She has to. 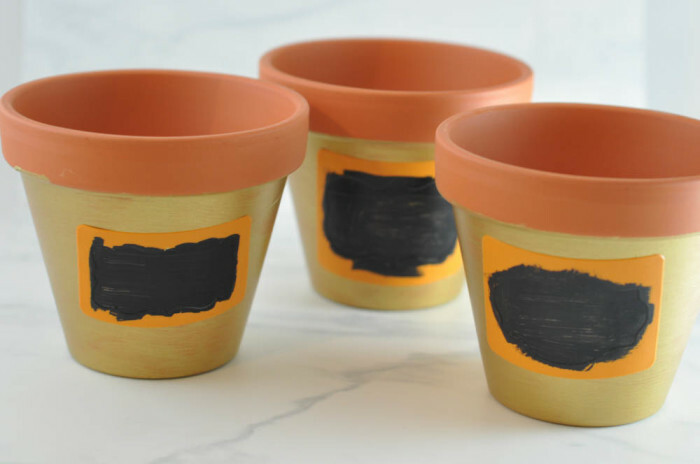 I picked up these stencils from Handmade Charlotte’s line, some paint, and these terracotta pots at Michaels the other day. 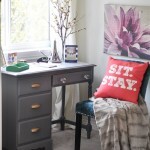 You know I love me some stencils, and I thought these would be perfect with chalkboard paint. First, I slapped (you can see, quite literally, where my paint brush had a few “oopsie” moments) on some gold paint. This is Martha Stewart’s metallic acrylic paint in Gold. 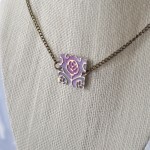 It’s a really lovely gold, actually. I think that her metallic paints are quite nice. Then, once the paint had dried, I placed the stencils onto the pots and got to work. To apply chalkboard paint effectively, you should paint it in one direction first, then let it dry. Then, you should paint it in the other direction, and let that coat dry. After that point, I removed the stencil. And before you write on the chalkboard surface, you have to “prime” it. Rub a stick of chalk over the surface, and then wipe it off. I don’t really know why you have to do this, but you do. So do it. Rules are rules. I also decided to trim up these golden beauties with some chevron jute ribbon. Yes, it’s jute! Crazy awesome, no? I brought out Ol’ Burny (the glue gun) and we quickly trimmed out the pots with a bit of black and white love. Oh, hello Mr. Fabulous. You look so shiny and informative today. I like Jade plants, and I didn’t have any herbs kicking around, so I decided to be Captain Obvious with my labels. 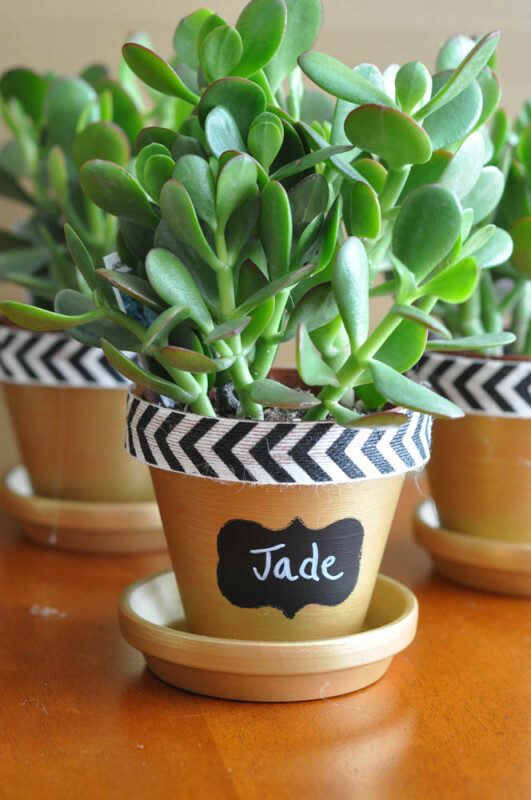 Still… I doubt Mr. Suburble would know it’s a Jade plant. It’s like a little botany lesson right in the house. 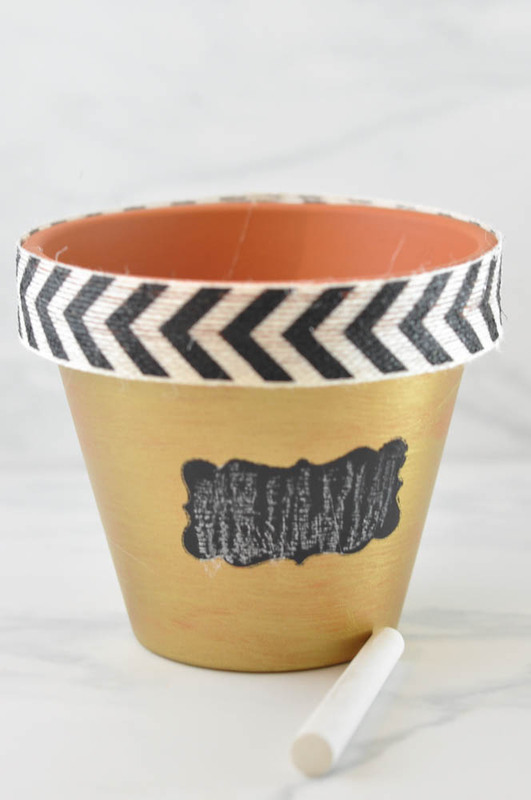 But aside from herbs, you can also scribble little notes on your flower pots. How awesome is this for a gift? Happy Housewarming, or I love you, or Don’t kill it! 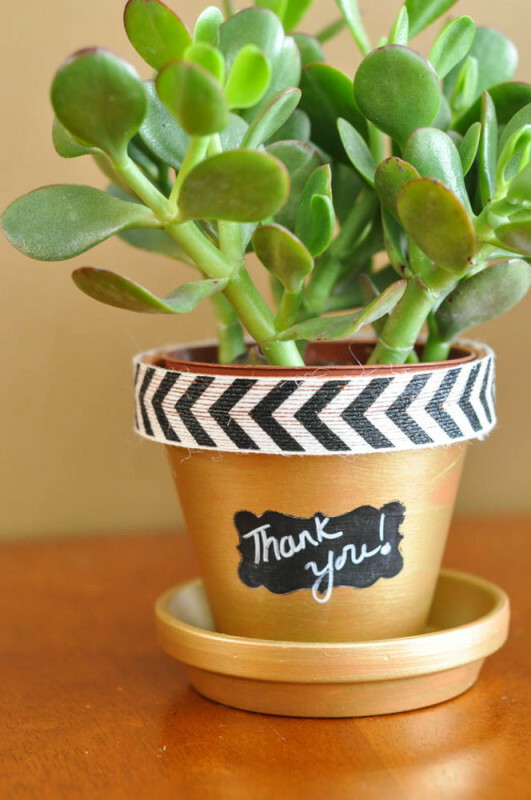 I chose “Thank you” because I think that gifting a little houseplant is a perfect way to say, “Thank you for looking after my cat” or “Thank you for listening to me whine about my job over coffee that day”. But if you’re not the talkative kind, you can leave the labels off. And if you’re thinking you want to paint up some pots with me and/or create a fabulous thank you gift for the girl who always laughs at your jokes, even when you’re not funny, then come on down to Michaels in Surrey, BC this Sunday! I’ll be there from 1-4, getting my craft on. Don’t live nearby? 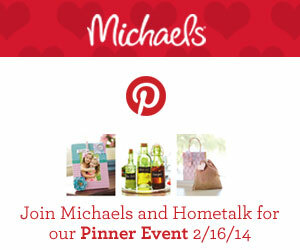 There’s a Pinterest Party happening at a Michaels near you! Go check it out! 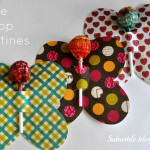 Get crafty with your bad self! 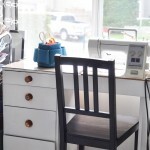 Mason Jar Love - and a Pinterest Party! Thank you so much, Sharon! Did you have a great time!?!? We’re a lucky bunch! Love it- wish I could come and laugh at all your jokes. And spring is almost here my friend. Really. Have a great time!! Oh, I wish you could have come, too! One day we’ll hang out and craft together! 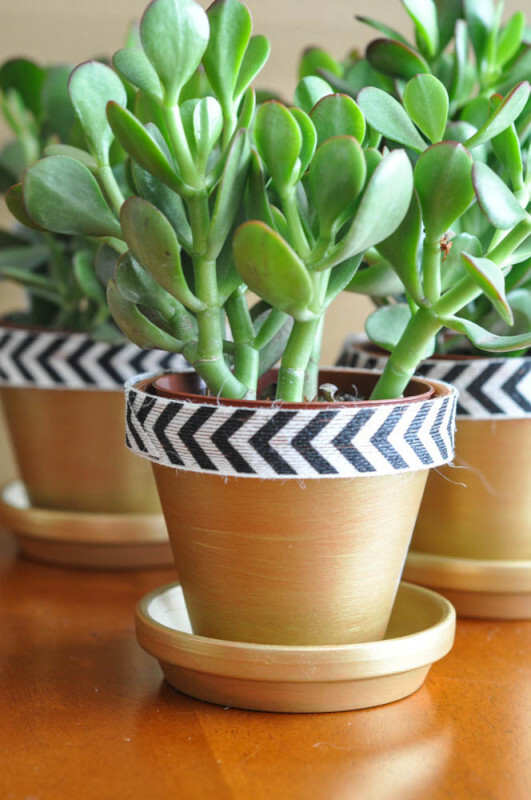 Look at you gearing up for spring with some lovely flower pot makeovers! I’m willing spring to happen… although the primulas that I bought in a weird fit of gardening haze have frozen into their pots. LOVE! what a great gift idea! Oh, thank you so much, Beth! Oh yes! Super duper cute! That ribbon around the edge? My favorite part! Wish I could attack-hug you at your Michael’s tomorrow and then ransack the store, harassing everyone and their mother to go craft with you. Because not only am I a fan of this craft, but I’m a fan of you, Ms. Tara! So break a leg tomorrow! So cute, love me some pots! our weather has finally started to become bare able days on end over 42 celsius sucked. But ours is dry heat not tropical and we don’t get snow in winter but I would love it just once. Over 40 degrees is a deal breaker for me. I like everything to be mild. I’m such a wus. How do plants/gardens fare in that kind of heat? Are you watering constantly? Adorable. I love that your craft projects also try and educate the Mister. I had to chuckle at the botany class reference . These are adorable not matter what they say…or don’t say. Beautifully done. Oh, thank you, Amy! I don’t know that Mr. Suburble has learned what a jade plant is yet… but we’ll see what happens!